As we all know, high cholesterol levels are associated with cardiovascular disease. Eggs and especially the yolk are high in cholesterol. This has led to the conclusion that eggs can be detrimental to heart’s health. This, however, is actually a myth. Most of the cholesterol is produced by the liver and we get only 25% from food. What is more, saturated fat consumption affects cholesterol levels much more than dietary cholesterol, especially the “bad” LDL-cholesterol. Eggs are not high in saturated fat and thus they may be part of a healthy diet, without raising cardiovascular risk. Studies show that coffee, if consumed in moderation, does not cause further fluid loss. Caffeine can be a diuretic in quantities greater than 250mg a day (one cup of coffee only contains about 75mg of caffeine). We often hear about various foods that have the ability to burn fat. Ginseng, green tea, grapefruit, chili and many herbs have been linked with the process of fat burning. The truth is that even though there are some studies showing that some of these foods can increase our metabolic rate, this increase is so small that it actually makes almost no difference. It could be argued that even a small increase in metabolism, through the consumption of large quantities of green tea or ginseng could contribute to weight loss. Unfortunately, this is a myth because your body actually adapts to these changes and thus after a while any metabolic advantage will be lost. The same principle applies to the consumption of protein. Although studies show that our body spends larger amounts of energy to metabolize protein compared to carbohydrates or fat, in practice it makes no difference. Specifically, the cost of thermogenesis is about 25% for protein, 10-12% carbohydrates and only 3-5 for fat %. So, it could be reasonably argued that by consuming 1000 calories only from protein, you could lose weight more quickly than if you consumed 1,000 calories from carbohydrates. The problem is that our body has adaptive mechanisms and quickly balances these thermogenic differences. This means that there are no magic potions or miracle foods and that the only thing that really counts is the total amount of calories we consume and not their source. 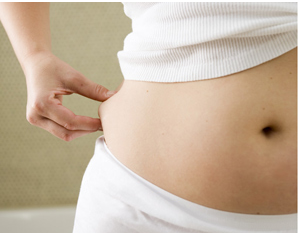 I’m sorry to disappoint you, but the truth is that there is no way to lose fat locally. Existing data show that spot reduction exercises or various other techniques (creams, belts, sauna, etc.) are not based in reality. These techniques don’t seem to be effective. Creams can not penetrate the fatty tissue and exercise can train the muscles, but won’t burn the fat that is located above the muscle. Various adipose tissue biopsies have been done to see whether abdominal exercises actually reduce the percentage of fat in the abdomen. The conclusion was that there is no selective reduction of the size of fat cells in abdominal region. The issue of meal frequency is a diet dogma that simply refuses to die. Although there is evidence since 1997 that 3 meals per day are an equally good choice as 6 meals per day, 14 years later, this old dogma is still here. A recent study published in the British journal of Nutrition examined whether frequent meals help fat loss. The study compared 2 diets that created the same calorie deficit. The first consisted of 3 meals and 3 snacks and the other consisted of 3 main meals. At the end of 8 weeks, weight loss was similar for both diets. What is more, the secretion of ghrelin (hunger hormone) was identical for the 2 groups, suggesting that there was no difference between 3 and 6 meals in the regulation of appetite when the calories were the same. In conclusion, eating frequent meals is not the only solution to fat loss. This scientific finding is very important for people who simply can’t consume 6 meals every day, because of their job or their lifestyle in general. Kate Cotros writes for the Diet Myths And Facts, a blog focused on revealing the truth about various diet and nutrition myths. She seeks to help others lose weight and regain their lost self-esteem.